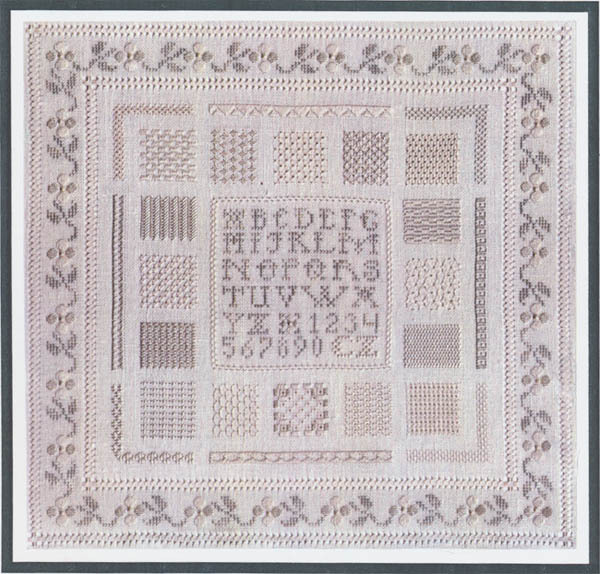 Stunning alphbet sampler stitched with a wide variety of specialty stitches. Each square shown in a different stitch. Model stitched on 30 count "custard Cream" Dower Quality Legacy Linen using 1 ply of floss over 2 linen threads. 22 points will be rewarded to you when you buy this item. You must be a registered customer to receive points.